According to the West Virginia Higher Education Policy Commission, higher education leaders in the state intend to double the number of degree holders by 2030. They're targeting students just graduating high school as well as professionals considering an advanced degree, which has led the state to invest more in online learning. Currently, West Virginia educational institutions provide coursework to over 150,000 students each year, and more than 82,000 of those students rely on online courses. Over 62,000 of those students take all their coursework online. As distance learning enrollment continues to increase, the state strives to provide additional resources, including the West Virginia Online Collaborative Knowledge System and Electronic Campus, which collaborate with local colleges and universities to direct students to the right programs. As a member of the Southern Regional Education Board, West Virginia distance learners now have access to the new nationwide site, which connects students with distance learning programs that meet their needs. This guide includes pertinent information about higher education in West Virginia, ways for students to save money on their education, and current trends in West Virginia's job market. West Virginia higher education options continue to increase. According to the National Center for Education Statistics (NCES), West Virginia had 44 higher education institutions during the 2015-2016 academic year, which means students now have one more institution to choose from since the last report. This total includes 22 public institutions, nine nonprofit schools, and 13 for-profit schools. NCES data also reveals that in 2016 there were 19,841,014 students enrolled at degree-granting postsecondary institutions across the U.S. Of this number, 146,358 belonged to West Virginia institutions. Students pursuing education should also consider average tuition costs, which can vary if students enroll as residents or out-of-state students. The 2018-2019 school year data provided by CollegeBoard reveals that four-year West Virginia programs hover around $8,290 per year for residents, while out-of-state students will pay just over $20,000 per year. However, students considering West Virginia University, the state’s flagship school, should anticipate higher costs. According to CollegeBoard data, residents pay $17,663, while out-of-state students pay $24,950 per year. Multiple funding options exist; for the 2015-2016 academic year, West Virginia provided $140,151,787 in financial aid. The National Association of State Student Grant and Aid Programs indicates that $42,252,734 went to need-based grants or grants with a need-based component. Additionally, a staggering $57,894,661 funded grants that did not include any financial hardship need. West Virginia also allocated $40,004,392 toward non-grant programs. Online learning platforms in West Virginia continue to expand. According to the 2015 Online Learning Survey data, 23% of West Virginia graduate students and 30% of undergraduate students enrolled at a public institution and completed at least one course online. This percentage climbs to 74% for both undergraduate and graduate students when looking at only large universities that have more than 10,000 in enrollment. Many distance learners choose to complete all coursework online, which may be attributed to the number of out-of-state students enrolling in West Virginia’s distance learning programs. The 2015 Online Learning Survey data indicates that 49,876 undergraduates and 12,485 graduates enrolled in online programs full time in 2015. Of this total, 54,224 were out-of-state students. Meanwhile, 88,382 students took a mixture of on-campus and online courses during their programs. West Virginia online students typically attend private, for-profit institutions, with just 34% attending private nonprofit and public schools. Additionally, online programs in West Virginia primarily attract students at the graduate level, as those students represent 76% of the total population. The American Public University System provided distance education to 52,361 undergraduate and graduate students in 2015, making the school one of the best online colleges in West Virginia. At second and third place for top enrollment, West Virginia and Marshall University provided education to nearly 5,000 students. Since 1948, the Southern Regional Education Board (SREB) has strived to improve public education by working with influential policymakers, education agency officials, and legislatures to create better policies that lead to an increase in college completion and professional success for graduates. The SREB also conducts ongoing research, analyzes data, and provides public reports for current issues. Out-of-state students considering a degree in West Virginia may qualify for tuition breaks through the SREB’s Academic Common Market and Electronic Campus program. This program provides students access to in-state tuition when programs do not exist in a student’s state of residence. The Academic Common Market and Electronic Campus do not provide assistance for professional degrees, including medicine, pharmacy, dentistry, optometry, and law. Students must meet the academic requirements of the college program they apply to, which may include additional stipulations, including full-time enrollment or a higher minimum GPA. The SREB member states include Alabama, Arkansas, Delaware, Florida, Georgia, Kentucky, Louisiana, Maryland, Mississippi, North Carolina, Oklahoma, South Carolina, Tennessee, Texas, Virginia, and West Virginia. Below, you will find our rankings of the best online four-year programs in West Virginia. Our profiles look at how schools approach online education and then lists their services for distance students and their most popular, fully online degrees. After reviewing the best online schools in West Virginia, explore our state resources, like a database of every college and university in West Virginia or our index of popular in-state scholarships. With more than 30 years of experience educating students through distance learning programs, Wheeling Jesuit University represents one of the best online colleges in West Virginia. The graduate and professional studies department boasts master's programs in business, education leadership, nursing, and physical therapy. Undergraduates studying online can earn their bachelor's in nursing. The university also offers an online teacher certification program; prospective students should check with WJU to ensure that the program complies with their home state's teacher licensure requirements. Students who live near the WJU campus can complete courses through an optional hybrid program, which uses evening courses to guarantee that students with professional and personal obligations can attend. WJU understands that students want to start their educations as soon as possible. To meet this need, the university's master's in business administration features six start dates every year. Prospective students apply by first submitting a short form. Admissions department representatives contact applicants to guide them through the application process. As the university attracts students with prior educational and professional experience, admission requirements vary by applicant. All online students must visit the university campus during their first semester for on-campus orientation, which includes meetings with faculty and a short course on the Blackboard virtual learning system. Each online program at WJU charges different tuition. For example, nursing students pay a flat rate for their degrees, physical therapy students pay per term, and students in the accelerated certification for teaching program pay a per-credit tuition rate. Different fees apply to each degree and certification program as well. While recognized as a Jesuit university, WJU does not require graduate and professional studies students to take courses in religion or faith. Students from all religious and cultural backgrounds take courses at this West Virginia online college. Wheeling Jesuit holds accreditation from the Higher Learning Commission. At West Virginia University Online, a fully accredited online college in West Virginia, students can select from five bachelor's degrees, 24 master's degrees, and three doctoral programs. Unique programs include a bachelor's designed for adult learners; this degree grants transfer credit for relevant professional, military, and life experience. Unique graduate degrees include master's programs in clinical rehabilitation, instructional design, and higher education administration. Non-degree-seeking students can select from over 10 undergraduate and graduate certificates. To help online students succeed, WVU Online boasts both enrollment coaches and academic advisers; students can contact the latter at any time. The university employs more than 500 professors and lecturers, many of whom possess valuable professional experience in their field. Each year, the university audits its online courses to ensure that they follow the highest academic standards. Applicants to undergraduate online programs can submit either high school transcripts or GED scores. WVU Online requires ACT or SAT scores. Applicants to graduate programs must possess a minimum 2.75 undergraduate GPA. Each graduate program requires additional application steps. WVU Online classifies transfer applicants as those who possess at least 24 credits from accredited colleges or universities. For credit to transfer, students need a minimum 2.0 GPA. New students can start their educations in the spring, summer, or fall semesters; each start date uses a unique application deadline. The summer semester uses flexible, 3- to 12-week courses. In-state and out-of-state students pay the same credit-based tuition. Graduate students pay more per credit than undergraduate students. Departmental merit-based scholarships help eligible online students pay for their educations. The university's veterans resource center guides active military personnel and veterans so that they receive their full Post-9/11 GI Bill® benefits. WVU Online does not grant veterans automatic tuition discounts or exclusive scholarships. Online students in 30 states qualify to receive an education at the University of Charleston. Students who graduated from a West Virginia community college online can further their education by earning a bachelor's in accounting, business administration, cybersecurity, nursing, organizational leadership, or psychology. Graduate students can earn a master's in business administration, a master's in cybersecurity, or a master's in strategic leadership. Finally, Charleston offers a doctoral program in executive leadership that requires campus residency. Charleston's online programs feature accelerated coursework, optional minors, and service learning experiences that students complete in their home communities. This online college in West Virginia possesses regional accreditation from the Higher Learning Commission. Charleston's online students use the eLearn virtual learning system to interact with professors, view lectures, and complete assignments. The university provides extensive guides for students unfamiliar with distance education to master eLearn. Online students use physical textbooks, which they can order and receive well in advance of course start dates. Undergraduate applicants must possess either a high school diploma or GED; Charleston does not accept applicants who did not attend high school for fewer than six semesters. Undergraduate applicants must earn a minimum 19 score on the ACT or 900 on the SAT. The admissions department recommends that all undergraduate applicants submit a personal essay. Graduate admission requirements vary by program but typically include recommendation letters. A private university, Charleston charges that same tuition to in-state and out-of-state students. The university sets tuition based on degree level and major; graduate students typically pay more in tuition than undergraduate students. West Virginia residents may qualify for a merit-based PROMISE scholarship or a need-based grant. West Virginia National Guard members receive additional scholarships in addition to Post-9/11 GI Bill® aid. Finally, military personnel, veterans, and first responders automatically receive a tuition discount. Marshall University boasts four bachelor's, 12 graduate, and 12 certificate programs, many of which students can complete 100% online. Some programs use hybrid learning that requires students to attend specific courses on the Huntington campus. Online students use Blackboard and can select from more than 150 courses each semester. All online programs use an asynchronous learning model to allow students to mold their educations around their personal and professional schedules. Marshall's bachelor's programs attract students who already possess associate degrees; the geography, medical laboratory science, regents' degree, and nursing programs all require two years to complete. The university uses agreements with select West Virginia, Tennessee, and California junior colleges to ensure that associate degrees transfer; Marshall considers transfer credit from all regionally accredited colleges and universities as well. Regarding graduate programs, the master's in education features eight concentration areas including instructional technology and school library media. Unique graduate certificate programs include literacy education, nursing informatics, and school principalship. New students can start their degree or certificate programs during the spring, fall, or summer semester. Marshall uses a conditional admission system for undergraduate applicants with GEDs and those with poor high school GPAs. The most competitive applicants possess a minimum 3.0 GPA and at least a 19 on the ACT or 990 on the SAT. Applicants to online graduate programs need a minimum 2.5 undergraduate GPA. Graduate programs may stipulate other admission requirements such as standardized test scores or recommendation letters. International applicants can expect different application requirements. All online students qualify for reduced tuition, and both in-state and out-of-state students pay the same tuition rate. Full-time students save money by taking a full course load. Out-of-state students in hybrid programs pay the out-of-state tuition rate, approximately 250% more than in-state tuition. Students in hybrid programs can transfer to a fully online program to save money. Below, is a list of the most affordable online schools in West Virginia ranked and ordered by tuition cost. 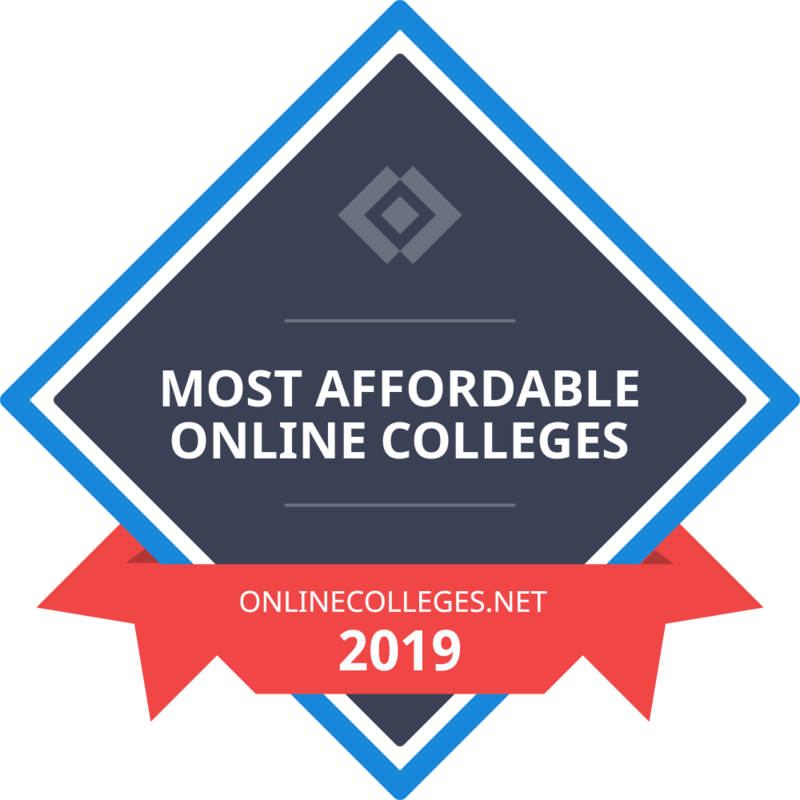 Our list of the most affordable online schools in WV is based on in-state yearly tuition, or annual tuition rates if a school does not differentiate between in-state and out-of-state students. Tuition rates are based on a full course load each semester or term. All colleges on the list offer at least one bachelor's degree completion program available entirely online. 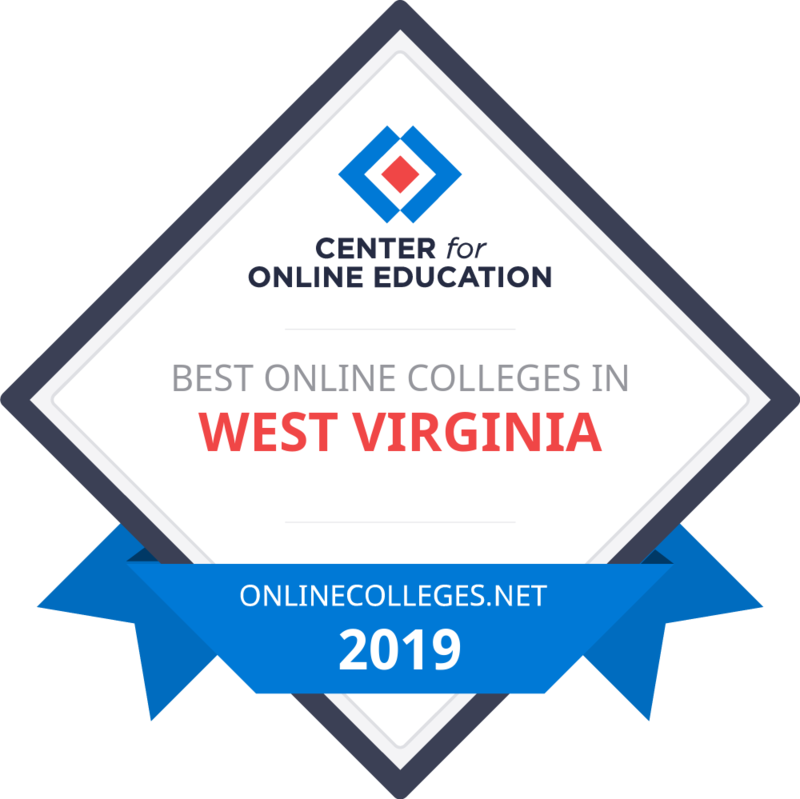 The online schools with the lowest tuition are ranked highest, providing prospective students with a true list of the most affordable online colleges in West Virginia. Students who intend to launch their careers in West Virginia should familiarize themselves with the current job market. According to the Bureau of Labor Statistics (BLS), West Virginia currently has a 5.2% overall unemployment rate. However, employment rates vary by industry. Therefore, students should examine BLS data to identify if West Virginia’s job market supports their career goals. On average, West Virginia employees make around $41,400 per year. According to the West Virginia Department of Commerce, key industries include energy, metals, manufacturing, aerospace, chemicals and polymers, building products, fulfillment distribution, energy, technology and information services, and automotive. In particular, the aerospace industry has rapidly expanded due to profitability and a highly qualified workforce. Furthermore, strategic location and raw materials help this industry thrive. Similarly, the metal industry employs thousands of seasoned professionals who fuel over 4,000 regional suppliers in the manufacturing industry. In fact, the manufacturing industry has a long history of employment in West Virginia due to the state’s natural resources and transportation options. This industry employs nearly 50,000 people each year and represents over 6% of West Virginia’s entire labor force. This is a merit-based program for West Virginia residents graduating from an eligible high school. Students must complete their FAFSA application and have at least 20 hours of community service hours. Students must have at least a 3.0 GPA or higher and must agree to work in West Virginia for one year each time they accept the scholarship. Junior, senior, and graduate students attending school full time in West Virginia may apply for this scholarship each year. Recipients must agree to work in West Virginia public schools. Students must be in their fourth year of medical school or in their final year of their master's or doctorate program. Service hour obligations vary. Children or grandchildren of former Mylan Pharmaceuticals living in West Virginia may apply. Students must have at least a 3.2 GPA. West Virginia medical students and undergraduate engineering students enrolled full time may apply for this scholarship. Students may only receive this scholarship once. High school seniors enrolling in agricultural programs at an accredited West Virginia university may apply. This scholarship requires an essay. The West Virginia Society of Certified Public Accountants provides five scholarships each year for students enrolled in accounting, information systems, or finance programs. The West Virginia Society of Certified Public Accountants provides this scholarship to accounting majors each year. Students must be seniors living in Kanawha or Putnam county. The Virginia Federation of Gardens provides full-time students earning a graduate degree in a horticulture-related field with scholarships each year. Applicants can apply annually.